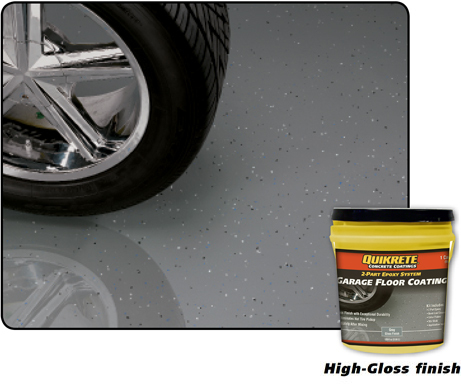 QUIKRETE® Garage Floor Coating (No. 0703-57 -58) provides a showroom high-gloss finish, with exceptional durability and superior adhesion eliminates hot tire pickup. Ready-to-use immediately after mixing.